Everyone wants a castle these days. I mean who doesn’t want to live on top of a mountain surrounded by big stones, gates, water, living in the clouds, and feeling like god! I mean that’s what it would feel like to me! 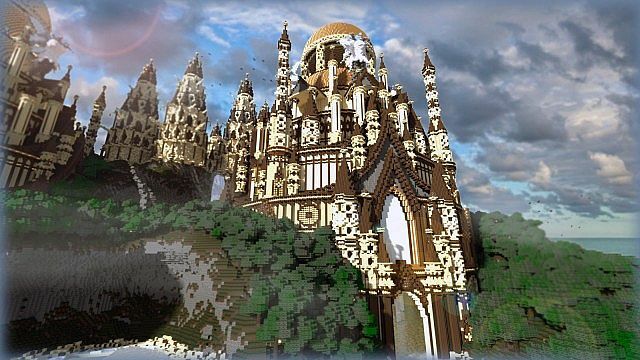 AAAANYWAY the build took aproxy 60 hours to make, 20 hours for the structure itself and 40 for the terrain (I was a complete VS noob back then. )And still am, arguably. Jaw drops…. Need I say more?